This image was taken at the lowest temperature I have ever experienced in Scotland. It was minus 26 Degrees Celcius according to the cars's thermometer and is actually lower than the lowest recorded temperature in the UK. I can't vouch for the accuracy of my thermometer but I can tell you that the tips of my fingers lost all sense of feeling for a couple of months. 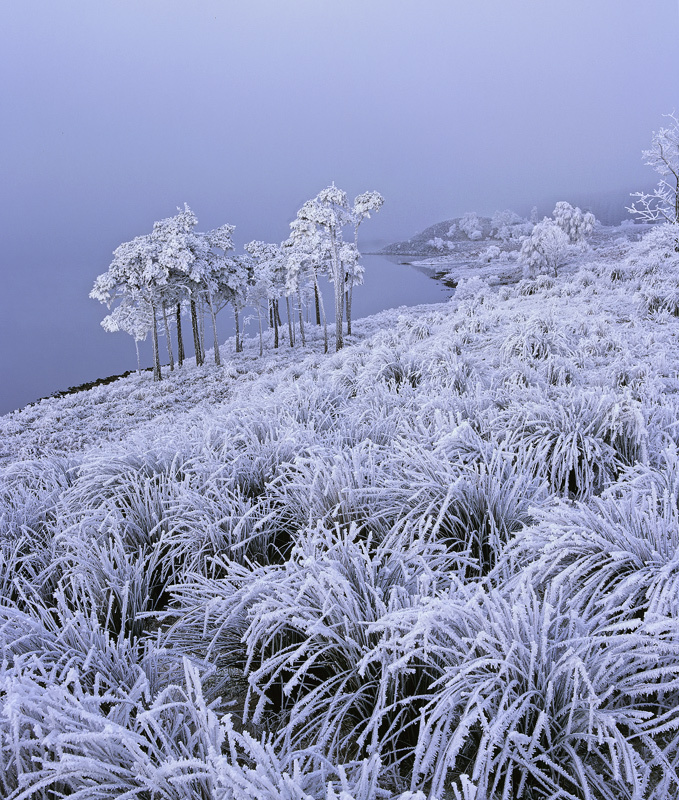 The grasses were weighed down under the accumulated mass of hoar frost and that misty backdrop continued to add volume and layers to the crust of ice.